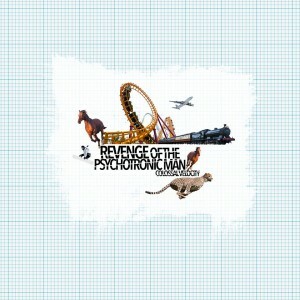 Revenge Of The Psychotronic Man are no more. We’ve had the most amazing time. Thanks so much to every single person who has been part of this incredible journey. We cannot tell you how much it has meant. Much love. We have so many awesome gigs booked (including a handful that we haven’t announced yet) and we have absolutely no intention of letting anyone down. We also want to go out on a good run as it’s probably what we will remember all this by the most. 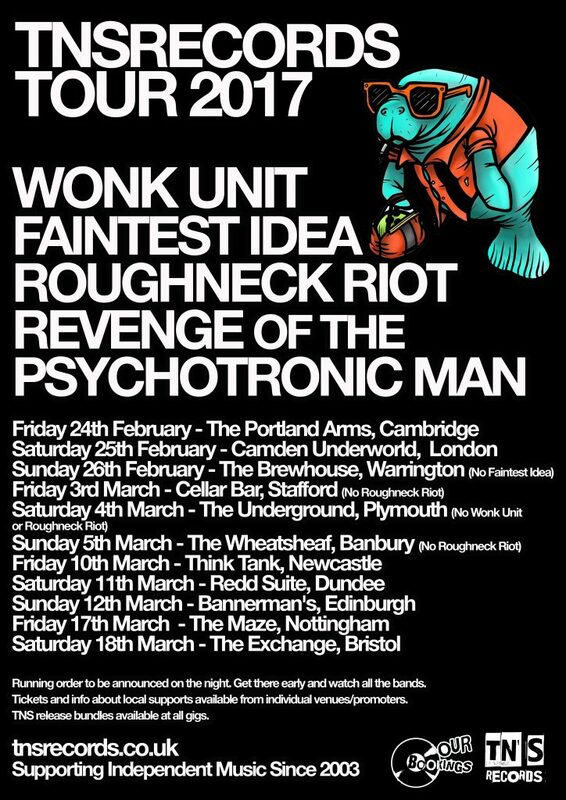 So, we will be doing all the gigs we have booked (and maybe a couple more). They will be our tightest and most passionate performances ever, they simply must be. We will then wrap it all up with a final Manchester gig on 8th December. Everything we can announce atm is listed in the gig guide. There are so many people to thank that we’re not going to attempt it right now. We have been truly humbled by our experience and it’s safe to say that the DIY music scene is in a much healthier position than it was 14 years ago. What a community we have, it’s so heart-warming. It’s impossible to overstate how honoured we are to have played a small part in that. We can’t list everyone we want to thank here, that would be ridiculous, but we’d like to acknowledge the contribution of past members, Dave Allcock, Liam McDevitt and Tom Fildes and also our number one roadie, Malibu Phillip McKie. And we do want to take this chance to publicly thank Tim Bevington. We couldn’t exist as a band without him and what he has selflessly done for our band (and for independent music in general) also can’t be overstated. We told Bev what we’d decided yesterday and he called me to chat about it. He said, “if someone had told you what you would achieve at the start, you wouldn’t have believed it”. And that rings so true. We are so lucky to have had all these incredible experiences. If you’d told us that three idiots would sell pushing 10,000 records/CDs, play to capacity crowds with likes of Bad Religion and three years in a row at MPF, play all over Europe, get mainstream radio play and do an actual MAIDA VALE session, we would have just laughed out loud. But we started this band to have fun, to gig as much as we could and to get our favourite new bands playing in our own town and to help build communities of like-minded people, where people supported small DIY gigs. We can genuinely say we’ve tried so hard to do all those things and that our happiest moments are the small, packed gigs where the crowd gets ridiculously silly. Seeing the crowd responding to our music means everything. We’ve made so many friends and seen thousands of incredible bands. Writing this is bringing tears to my eyes, but we all know it is time. I think we leave the DIY scene in an incredibly healthy place, with so many amazing bands coming through right now. And obviously we will all continue to be involved with that individually in a variety of ways. Really excited to announce we are going to be part of the upcoming TNSrecords Tour. You should all come along and have a beer with us, you would be silly to miss this lineup.